Remix: New Modernities in a Post-Indian World seeks to explore complex ideas about what it means to be an indigenous artist in the 21st century. The exhibition, featuring the work of 15 artists from across the western hemisphere, explores the very limits of human experience. Provocative Remix artists Franco Mondini-Ruiz and Kent Monkman discuss their work with exhibition co-curator and AGO Curator of Canadian Art, Gerald McMaster. Franco Mondini-Ruiz abandoned a successful career as a lawyer in 1995 to become an artist. Since then, his work has been exhibited in the 2005 Prague Biennial, the 2000 Whitney Biennial, and at the AGO in 2001’s Ultra Baroque: Aspects of Post Latin American Art. Mondini-Ruiz lives in San Antonio, Texas. Kent Monkman’s work ranges from figurative painting to film and performance, often featuring his alter ego, Miss Chief Share Eagle Testickle. A member of the Fisher River Band of northern Manitoba, Monkman lives in Toronto, Ontario. Recorded: Wednesday, April 1, 7 – 8:30 p.m.
Week 8: Liselle Sambury and Kateryna Shipir. Age 16. I have been drawing since I was 12 and since then have been expanding into different types of art. I really enjoy writing prose and hope to be published one day soon. Out of all the books I have read I would say that my favorites are all by Augusten Burroughs, who trumps over Stephanie Meyer as my favorite author. On the AGO Youth Council I hope to expand my knowledge of art and make a difference with the artistic talents I have now. Defined by curiosity, imagination and ambition, this only child is a walking sculpture of randomness. She is spontaneous and loves show-downs with challenges of different sizes and forms that test her mentally and physically. Her most recent projects are DJ-ing her own radio-show, hosting her own television show and writing articles to numerous newspapers. She is a student at Glendon where she studies Business Economics and French. Her hobbies include planning, organizing, working-out and playing with her cat. What is the role of art in modern society? To entertain us? To teach us? Both? And what of philosophy? What relevance does it have to how we think and live? In Opening Gambits, cultural critic and philosopher Mark Kingwell puts forth an argument for the similarity between art and philosophy as forms of play, working at the margins of meaning and sense. 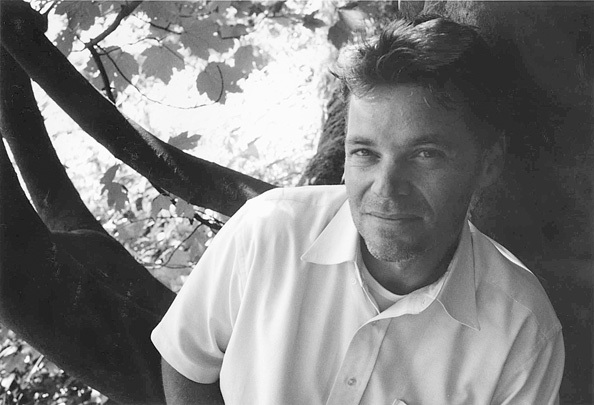 Mark Kingwell is a contributing editor of Harper’s Magazine. He is the author of ten books of political and cultural theory, including the national bestsellers Better Living (1998) and The World We Want (2000), Nearest Thing to Heaven: The Empire State Building and American Dreams (2006), Concrete Reveries: Consciousness and the City (2008) and, most recently, Opening Gambits. Kingwell lives in Toronto, Ontario. Recorded: Wednesday May 13, 7 – 8:30 p.m.
Wednesday, May 20 7 – 8:30 p.m.
Mexican artists and Grange Prize nominees Marco A. Cruz and Federico Gama will discuss their work. Each year, The Grange Prize recognizes the work of Canadian and international contemporary photographers, awarding $50,000 CAD to a winner chosen through an online public vote from among two Canadian and two international artists. Since 1979 Marco A. Cruz has had his photographs published in major newspapers and magazines, most notably LIFE, which featured one of his images from the 1985 Mexico City earthquake. In 1984 Cruz and a group of colleagues created the photographic agency Imagenlatina. Cruz’s series on blind people in Mexico is only one of the many distinguished photo essays he has created during his career. He is currently working on a website that aims to document Mexico City, where he lives and works. Born in Mexico City in 1963, Federico Gama studied journalism and graphic design. He has been a documentary photographer of urban youth since 1988. He has participated in many solo and group exhibitions in Mexico and internationally. Gama has lectured at conferences, universities and schools of photography. 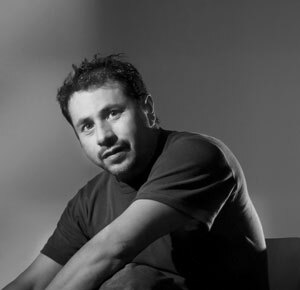 He currently works as freelance photographer for newspapers, magazines and books, while also working on a documentary Gente como Nosotros (People Like Us), to be released in 2009. Photos: Marco A. Cruz, 2008. Courtesy of the artist © 2009 Marco A. Cruz. 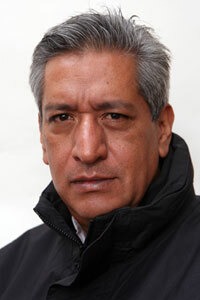 Federico Gama, 2008. Courtesy of the artist © 2009 Federico Gama. Bailey M.W is the bassist and occasional vocalist for the bands Last Minute (Who Split up last year), Fo Shizzle, and Orange Banana. She recently made her stage debut as the Officer/Chauffer in A.Y Jackson’s 2007 fall comedy The Borderline Crazies. And avid reader since childhood, she’s read the first five Harry Potter books 47 times in English and twice in French. Her current favorite novel is Sarah Ryan’s, Empress of the World. She hopes to one day work as a general contractor or carpenter. Surrealism was one of the most influential movements of the twentieth century and had a profound impact on all forms of culture. During the 1930s it escaped the bounds of an avant-garde art movement and transformed the wider worlds of theatre, design, fashion and advertising. This lecture explores how Surrealism evolved from art movement to commercial phenomenon. Ghislaine Wood is the curator of the exhibition, Surreal Things: Surrealism and Design. In 2003, she was lead curator of the critically acclaimed and popular exhibition, Art Deco, 1910-1939 at the Victoria and Albert Museum, London, England. Three years earlier, she was deputy curator of Art Nouveau, 1890-1914. She is a member of the V&A’s Research Department. Week 6: Monika Lemke and Kathy Ma. Monika is a Canadian with Polish background. She is currently studying at Don Mills Collegiate Institute. She paints, draws, sculpts, photographs, and acts. She has directed the play, Dyke at the Sears Drama Festival. She has a passion for music, reading and Karate. Currently a brown belt teaching Karate, she aspires to become a black belt before going to university to study politics, law and governance. She hopes to contribute to the proportional representation of women in Canadian politics. I first met YuQi when she arrived in Canada seven years ago from mainland China. A year later, YuQi and I dubbed ourselves Katherine. Kathy loves to immerse in nature’s wonders and journey via the printed word. Currently a music major at Earl Haig Secondary School, Kathy worships creativity in the arts and sciences. Our dream is to become a world renowned architect someday…like Antoni Gaudi! Meet artist Kara Walker and enjoy a provocative talk on how her artwork aims to enliven current discussions about notions of difference, community and memory.